When looking over a car accident claim and deciding how to proceed, a Missouri car accident attorney will consider the likeability of his client as well as his credibility. If the case is unable to be settled, and a jury trial is imminent, than those two factors will be key to obtaining the trust of the jury and help the plaintiff win a fair award. Following an era of frivolous lawsuits it is sometimes difficult for an attorney to convince a jury that his client is deserving of compensation. When faced with a lawsuit, most insurance companies do not look at the plaintiff as an actual person. Instead, what they see is an obstacle in front of their goal, which is to avoid having to pay for damages. If they decide to not fairly settle the case they are now faced with a jury getting to see the plaintiff first hand, hear of his injuries, and learn about the type of person he is. There is a good chance that even if he is partially responsible for the car accident, the jury may sympathize and return a judgment in his favor. Missouri car accident attorney’s are well aware of the importance of building trust with the jury as well as soliciting sympathy. As the plaintiff, it is extremely important that you relay all the details of the accident honestly in front of the jury. 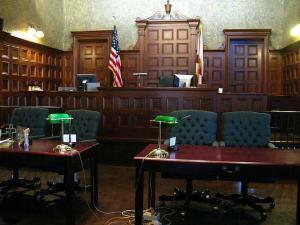 The defense may also try and use this tactic in a jury trial. To counter it, a Missouri car accident attorney will be sure to make jurors understand that the defendant is not going to be paying the damages out of his pocket, nor is the amount being asked for a type of punishment. The attorney will be sure to stress that the judgment is strictly restitution for injuries sustained by the plaintiff as a result of the defendants negligence. Working on jury sympathies is very useful in cases where comparative fault will come into play. This was the case for a driver whose car had broken down on a major Missouri highway. Seeing no other choice, he exited the vehicle, popped its hood and attempted to fix it in order to move it out of the line of traffic. While looking under the hood, a van crashed into the back of his vehicle causing it to hit him. At face value, one could assume that his injuries were his own fault because he put himself in harms way. But after hearing plaintiffs testimony about his desire to quickly move the car so that no one would get hurt, and seeing his sincerity first hand, they returned an $800,000 award and declared him only to be 20% at fault for the car accident. Using these types of tactics in car accident cases is by no means playing dirty. Missouri car accident attorney’s face an uphill battle when one of their cases makes it to trial. Over 90% of the population believes that there are too many frivolous lawsuits, thanks mainly to the manipulation of facts surrounding cases such as the McDonald’s hot coffee lawsuit. Their job is to convince the jury that this is a misconception, and that you, as an injured party, do deserve some compensation. If you have recently been injured in a car crash do not hesitate to contact The Hoffmann Law Firm, L.L.C. at (314) 361-4242, even if you feel you may be partially to blame.